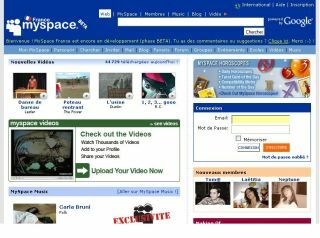 MySpace has announced a plan to give third-party developers the chance to place applications on its service. The plan is aimed at quashing the threat from rival social networking site Facebook which has achieved massive success with its third party apps. "There's been so much excitement, energy and growth on the part of Facebook," Forrester analyst Charlene Li told Reuters. "There's a lot of pressure on MySpace to capture that energy." The announcement was made by Rupert Murdoch - chairman of MySpace owner News Corporation - and MySpace chief Chris DeWolfe during a presentation on the interactive future of the Corporation. The presentation was part of the scheduled events at the Web 2.0 Summit in San Francisco. "We are opening our platform in the next couple of months," DeWolfe said, before Murdoch warned that the site would create lower revenues than the $800 million News Corp said it would. Murdoch added the money made would be "at least 30 times what it was the day we bought it two years ago". MySpace cost News Corporation $580 million in 2005.